Football Coaches, Business Leaders, Productivity Experts ALL AGREE that Fred Stuvek’s New Book is a Must Read. 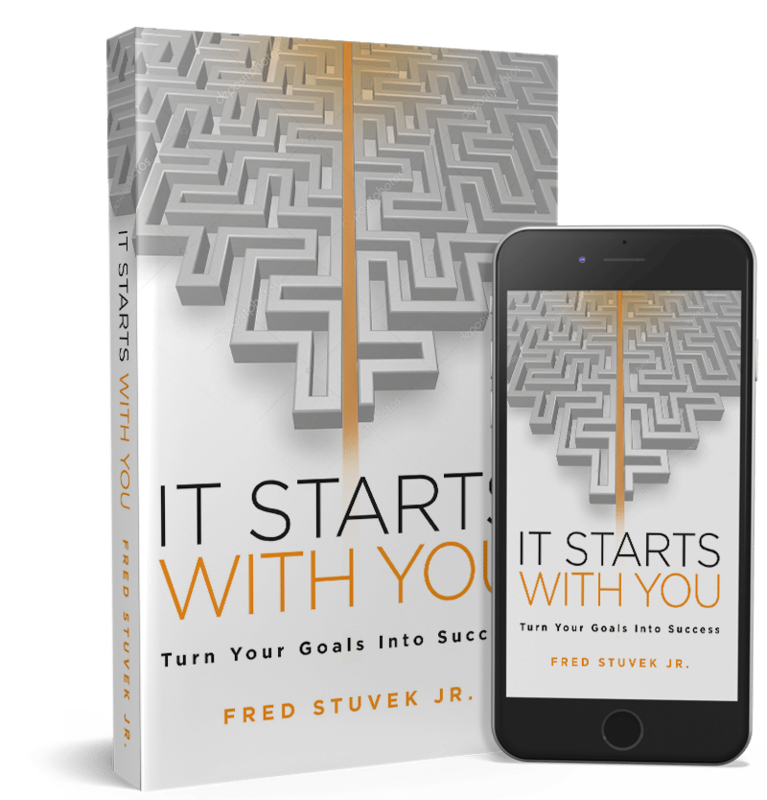 ROCHESTER, NY, December 21, 2018 /24-7PressRelease/ — A new book, It Starts with You: Turn Your Goals Into Success, by Fred Stuvek, Jr., ($15.95, Triumvirate Press, August 2018), goes beyond the inspirational narrative — it’s actually an instruction manual focusing on the only area where real change originates: your brain. This powerful and celebrated look at productivity and success is being offered on Dec 22nd for only .99. Fred Stuvek, Jr. has achieved extraordinary success in diverse realms. Born in West Virginia and raised in Pennsylvania, he has been inducted into the Pennsylvania Sports Hall of Fame for achievements in football, basketball, baseball, and track. He graduated from the United States Naval Academy, after lettering three years as quarterback for the Midshipmen. After service as a Naval Officer, he transitioned to the business world where he has held senior leadership positions in private and public companies, both domestically and internationally. Key successes include an international medical imaging start-up that led to a successful IPO and forming a private medical services company, which he subsequently sold. From the playing field to the war room, to the boardroom his leadership and accomplishments have given him a distinct perspective and a results-oriented mindset. It Starts with You: Turn Your Goals Into Success ($15.95, 204 pages, Triumvirate Press, 5.5 x 8.5″, paperback, ISBN: 978-1732306028) is available at neighborhood and online booksellers. For more information, visit www.itstartswithyou.net.